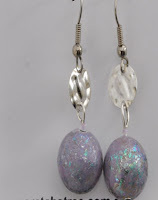 While I was so flattered to be asked that question, I too am still finding my niche' in the area of my Fimo jewelry. I want it to be unique, something someone else is not making but also items that will sell. I asked myself the same question once I decided to sell my artwork. 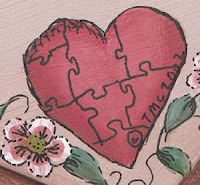 I have always been involved in craft, DIY, art, and many other creative activities. Making the step from crafter to artist was a long gradual process for me. For many years I made things for me, because I liked the look of something or I wanted to learn a new technique. With the encouragement of my friends and family, I decided to try making my hobby my business. The first thing I did was research what I wanted to sell, how I wanted to sell, what customers are buying, and what the competition was. 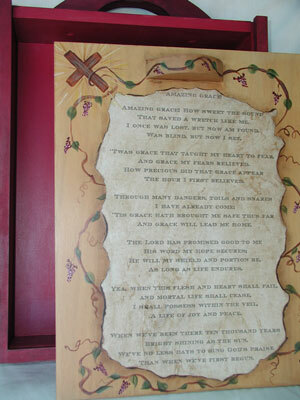 For many years all my craft and painting projects came from books, magazines and classes. Very little of what I painted was my own work. I would often change projects I saw in magazines and books to suit me, but the work was still not my own. What really started me doing my own design work, was in a painting class I did with a painting teacher in Perth, Western Australia. Her name was Kim Howe, and she taught colour theory, and design techniques in folkart painting...i.e. 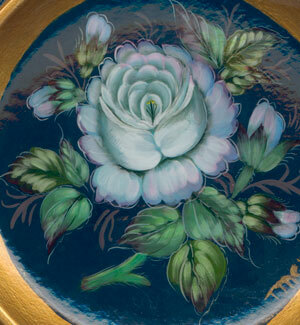 Tole Painting, Decorative Painting. When I got into card making, and later jewelry making I used my knowledge of colour technique and some of the design techniques in my jewelry making and card making. Though the original courses I did were in a different area of art, the theory still applied. Now to create something unique. WELL, if your even the slighted ADD, ADHD like I am it is like taking your kids to the candy shop and telling them to make ONE choice. For months my mind went round and round with all sorts of ideas!!!! Focus, Tracy, FOCUS. NOT hehe. Finding that unique style or product that customers are buying was now my target. I love recreating things from old jewelry I find in the op shops (second hand). 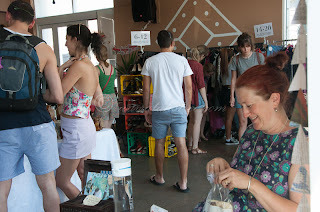 I have always been crazy about craft markets and will go there to buy unique items that are hand made. I live in Melbourne, VIC in Australia. Melbourne is a market lovers heaven! My husband and I will plan many of our trips around markets. So, I went to several markets looking at the items for sale at the hand craft stalls. 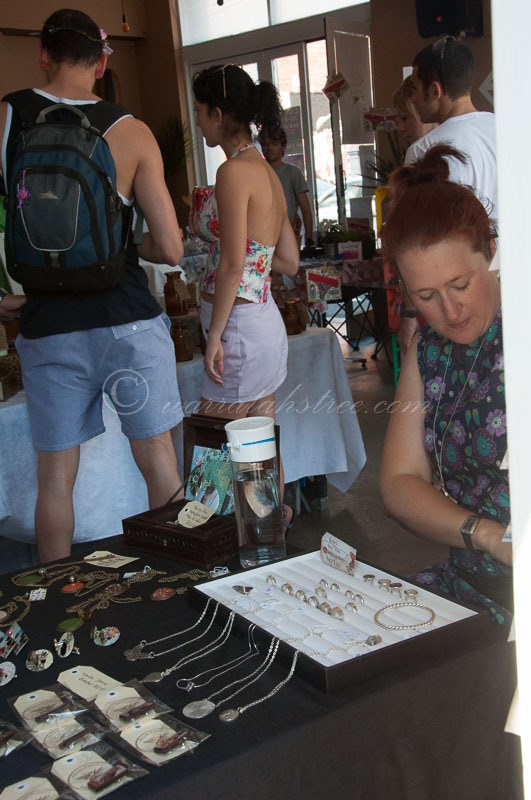 I saw many booths that had cards and jewelry, but few that had photography and hand painted items. I researched several things at each of these markets, what items did I see repeated in several booths? Were there striking, unique items? Is what I am selling just like what everyone else is selling? What were the prices vs what I sell my items for? Another research tool I used was I would show my family members and friends what I made. If I got an excited positive reaction to what I made, I would make more of that item. One Facebook friend puts their items online and asks for comments on whether we would buy the items and if the we would buy the item for the price they were asking. I joined an artist group online that often poses different questions to artists and one question they asked was "Do you feel that you have to compromise to sell your art." I have heard it said over and over by many artists in groups where I paint and do classes, "they are selling themselves out just to make a buck". Let's face it, if you want to sell something you have to make what people will buy. Sometimes we have to make items that our customers like but it is not our passion. A very wise blogger and friend told me once, that she makes what sells but spends her spare time doing what she loves to do and allowing the creative passion to be free to make things for herself. 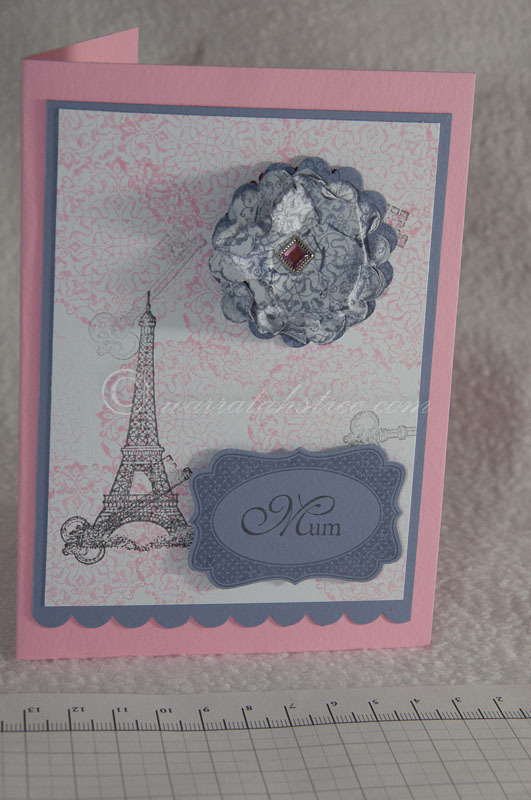 I created the Paris themed cards this past month after hearing one of my friends talk about how much she liked the Paris themed items that are in the stores we were shopping at. I want to have hand painted items in my market stall too. Hmmm, painted items would give me a unique thing to sell, but will customers buy it? As I do not currently have a unique style painting, I am going to wait a while for painted items to go into my market stall. So my answer to Niki's question, though a long answer, is.... What is your original work, that customers like? Try out your product on friends and family. Every piece you get comments on, make another to sell. Read about what products others are making, buying or talking about. Finally, don't be afraid to ask questions. Your welcome Mandi. I am new to blogging and am enjoying all the blog hops and linky parties. I have seen some really amazing blogs! Wow, you certainly approached this with all the information you could gather. Your art and jewelry are just beautiful, as is your blog. 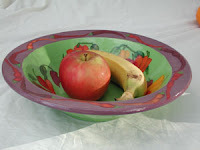 I am glad you like my handmade items and blog. Being the crafty type can sometimes be a curse, because there are so many different types of crafts that can be so amazingly fun! I like that Eiffel Tower card you show us up there as well. Very pretty! Thanks for following our blog & we are following back too! I love making jewels from old designs to make it unique. Your Paris theme is pretty awesome! Thanks Denise and Alexandra. One of my friends got me doing Paris designs. 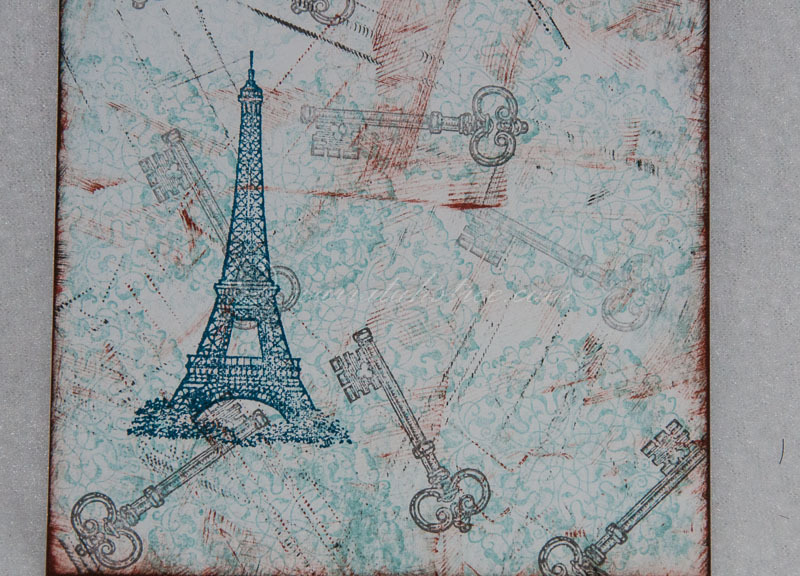 I really like doing my own backgrounds with that stamp set. It is a Stampin Up! stamp set. Thanks I followed you back on your site. Thank you for the nomination. I will read and fill it out as soon as I can in the next two days. great post - especially for those that are new to selling artisan products. I plan on getting into that within the next 6 mos to a year (I really need to settle into what I do well before I start to sell) and this information is great, thank you. Thank you. Good luck with your venture selling your artisan products. I am very new at this, still learning. With that in mind, that you're doing a wonderful job creating all this with your crafty hands and mind...well..I shouldn't get too surprised if everything was sold-out by the evening :D!!! You do such a great job Hun, let the customers give you hints about what THEY would love to spend their money at..and Whoopsi :D.. suddenly you have nothing else to do than just what your consumers asks for ;)..neat! Have wonderful crafty week my friend! Thanks for stopping by. I am already a follower of your blog. I enjoy visiting and seeing the clothes you make. Pi Casso; Thank you for visiting and your comment. Great encouragement.